Icons and leaders in business, science, politics, and the media, these HWA Women Speakers make for unforgettable events. "The most appropriate way to describe Indra Nooyi is 'world class leader.' Her sharp strategic mind, tremendous market insight and humanitarian contributions all combine to make her a rare executive among the global corporate giants." For over a decade, business powerhouse INDRA NOOYI led PepsiCo through tremendous growth and change. 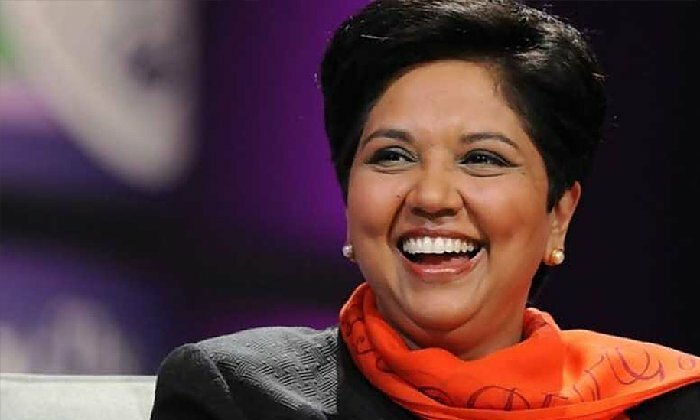 Consistently ranked in Forbes' "The World's 100 Most Powerful Women," Fortune's "Most Powerful Women," and TIME's "100 Most Influential People in The World," Nooyi has been sought-out for her unparalleled business insights and empowering messages on leadership, inclusivity and change everywhere from The World Economic Forum to The Aspen Institute. One of the most visible symbols of the women's movement, Steinem continues to be an ever-present and sought-after speaker on all fronts of social activism. At events, she regularly garners tweets of praise such as: "Grateful for @GloriaSteinem's enduring clarity, humour & wit"; and "@GloriaSteinem just started talking and I’m already inspired" The subject of an upcoming biopic directed by legendary director Julia Taymor and starring Julianne Moore (based on Steinem's bestselling memoir My Life on the Road), Steinem is an in-demand icon actively shaping the conversation surrounding women's rights. A world leader with fresh insights on geopolitics, and women's rights, JULIA GILLARD recently established and was named chair of the Global Institute for Women’s Leadership at King’s College, where she works to promote gender equality and tackle complicated issues of women’s treatment in workplaces. Sought-out for the New York Times inaugural New Rules Summit: Women, Leadership and a Playbook for Change, Gillard offers bold and shrewd insights on female leadership. A force of nature of the highest order, MARIA SHRIVER is a passionate and purpose-driven leader whose work has fostered change and advanced some of our nation’s most pressing issues. Named to People's "25 Women Changing the World in 2017," Shriver is a trailblazer who eloquently moves audiences to become "Architects of Change." Shriver empowered a crowd of 6,000 at PBWC's Annual Conference for Woman in Business, racking up dozens of tweets of praise, including: "So wonderful to see this giant conference room PACKED with women - listening to the inspiring @mariashriver..."
"Ms. Curry is an exceptional woman and an inspiration... Her passion and emotion brought tremendous encouragement and delight to all who heard her speech, and they rose to their feet in applause." Internationally renowned journalist ANN CURRY is in-demand and making headlines, recently the subject of a New York Times profile on her new PBS series We’ll Meet Again, which explores the lives of everyday heroes. Curry brings the same passion, insight, and inspiration she's known for as a reporter, to each of her engagements, providing audiences with a thought-provoking and utterly captivating perspective on the world. She delivered a crucial TedTalk on the state of journalism. An iconic journalist whose exceptional commentary has been a guiding voice during America's most divisive and challenging times, PEGGY NOONAN brings to life U.S. politics and culture with fresh insights and thoughtful analysis. An in-demand speaker thanks to her clarity, humor and wit, Noonan was selected for Notre Dame's 2019 Commencement Address. "Dr. Jemison was amazing! I have received nothing but positive feedback on her presentation. In fact, many have said she was the best speaker they had ever heard. 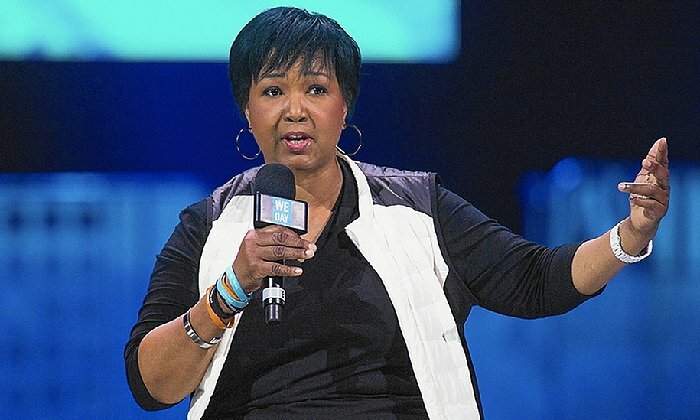 She was so engaging with the audience..."
A larger-than-life force of inspiration, MAE JEMISON is a trailblazer who offers bold inspiration and game-changing lessons on leadership, social responsibility, and diversity for enraptured audiences. Currently at the helm of the 100-year Starship, a groundbreaking, Pentagon-funded effort, Jemison is pioneering and transforming breakthrough science and technology to enhance the quality of life on Earth. LORI GREINER started with one idea and turned it into a multi-million dollar international brand. Beloved as the "warm-blooded" Shark on ABC’s smash hit and Emmy award-winning Shark Tank, Greiner brings inspiration, passion and energy to every event. She is also making headlines as she's set to launch her own publication along with AMG/Parade entitled INSPIRE by Lori Greiner in March. "Cecile Richards was a fascinating, engaging, and charming speaker. With humor, grace and first-rate storytelling, she kept an audience of 800 engaged and excited during an important and stimulating conversation. Her appearance was one of the “hits” of our season." Deemed "heroine of the resistance" by Vogue, CECILE RICHARDS is a globally respected activist and social justice leader. In her 12 years at Planned Parenthood, she brought the organization unprecedented recognition and success, and since stepping down has shared her empowering and insightful lessons on leadership, women's rights, healthcare, and the current political landscape with major media outlets and audiences alike. Her new book Make Trouble was an instant New York Times and Amazon Bestseller. "Penny is one of our country's most distinguished business leaders. She's got more than 25 years of management experience in industries including real estate, finance, and hospitality. 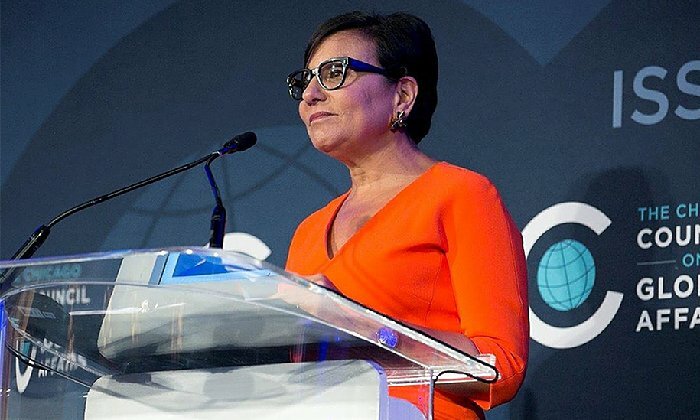 She's built companies from the ground up..."
An entrepreneur, civic leader and philanthropist with more than 30 years of experience, PENNY PRITZKER was named by Forbes as one of the "100 Most Powerful Women in the World." A go-to voice on female leadership in business, Pritzker provided powerful commentary on what it was like to rise through the ranks in largely male work environments in a talk at Harvard's Institute of Politics. She also recently made headlines for rolling out an initiative to help turn Chicago into one of the world’s leading tech hubs. "The event was a huge success, and I received so much positive feedback about Tarana. She handled sensitive topics with real grace and inclusivity, and made sure to bring everyone into the conversation... She was fantastic." Named to TIME's "100 Most Influential People of 2018" and Politico's "20 Women to Watch," TARANA BURKE spearheaded the Me Too movement years before it became a viral hashtag as the founder of Just Be Inc., a non-profit that helps victims. On stage, she shares her powerful and poignant story as creator of what is now an international movement and a survivor of sexual assault herself. Recently profiled in The New York Times, New York Magazine, Essence, Paper Magazine, Harper's Bazaar, and sought-out for a TedWomen talk, Burke shares a powerful vision of where the movement needs to go from here. "WENDY WAS AMAZING! I think we had one of our best events ever! She was such a fantastic speaker and gave numerous hugs to our staff and donors. My feedback is she was perfect and exactly what our donors needed." 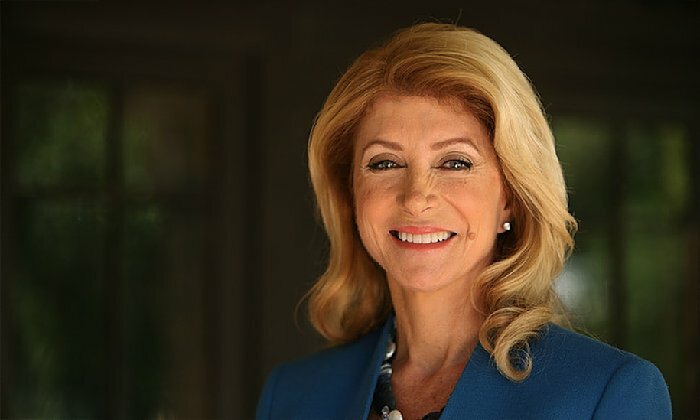 After skyrocketing to near-celebrity status following her historic 13-hour filibuster in the Texas Senate to stop a legislative effort that would have dramatically reduced women’s access to healthcare, WENDY DAVIS emerged as a leader in the national conversation surrounding women’s leadership and issues which threaten our individual opportunities. Through Davis’ work at Deeds Not Words, for which she earned a spot on Fast Company’s “100 Most Creative People in Business” and was recently interviewed in Bustle, she is shaping the next generation of leaders and directly working to foster diversity, inclusivity, and change at the highest levels of business and government. "You were a hit, as I knew you would be! Everyone loved the style of your presentation...it is such a refreshing change, and really makes the audience feel a part of the conversation. Thanks also for signing the 700 bookplates...Your graciousness as you needed to depart...stopping to talk to those still in line...made you about 600 instant friends". 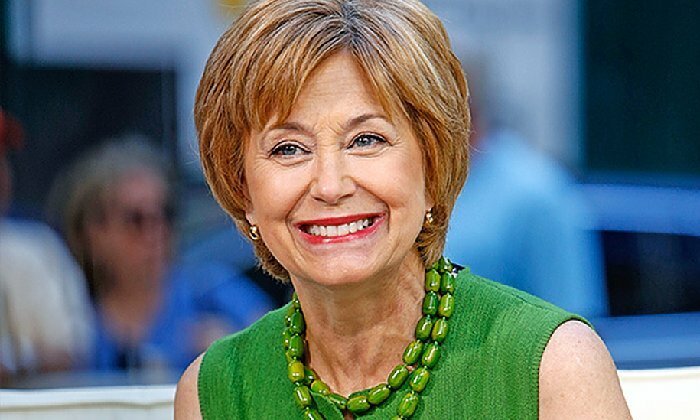 A pioneering journalist praised by audiences for her relatable and personal messages JANE PAULEY is a highly-regarded advocate for living large at 50+, mental health, and educational issues. Recently honored with a Lifetime Achievement Award by the AWMF, Pauley was recognized for using her voice to bring important stories to life, and delivered powerful and humorous remarks to a rapt audience. Her speech drew lots of praise on Twitter: "What an honor to meet a legend. @RealJanePauley gave an unforgettable and empowering speech. She truly is a wonderful and kind woman"
"The day was a triumph and Tina was a rock star. She is amazing and the students so appreciated her sincere attentiveness..."
A high-powered lawyer, TINA TCHEN’s career accomplishments have established her as a powerful advocate for gender equality. Having helped spearhead the Time's Up Legal Defense Fund, Tchen has made headlines in Bloomberg, W Magazine, CNN, Vanity Fair, and more, as she sheds light on the momentum of the movement. Given her effective work, she was also selected to chair the Recording Academy's new independent task force that will address barriers facing females and minority groups. "Her presentation was exceptionally well received... She will enlighten any group!" A workplace strategist who has worked with some of the most iconic organizations in the world from the NFL to NASA, ERICA KESWIN highlights how relationships are the most powerful driver of success for individuals and companies. 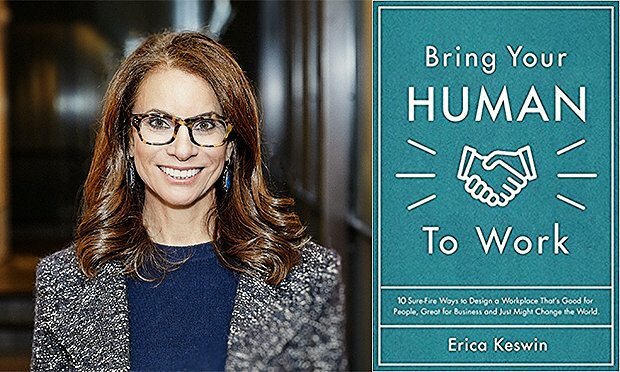 Her new book Bring Your Human to Work was an instant #1 New Release on Amazon and Wall Street Journal bestseller, and was featured in Forbes' "10 Inspirational Books For Success In Work And Life." She shares candid insights on topics such as work-life balance, fostering positive work environments, and effective communication for diverse audiences. "Moira Forbes was amazing and as one attendee remarked 'Moira Forbes stole the show; she was fantastic.' We were thrilled to have her join us for our inaugural Women in Manufacturing event..."
An expert on and advocate for today's professional women, MOIRA FORBES, infuses her business savvy and empowering messages on leadership to a variety of issues related to today's socioeconomic landscape and the effect women have on it. Forever looking for new ways to share her message and business acumen, Forbes recently launched "Success with Moira Forbes," a 12-part video series that features compelling conversations with the most notable female leaders in business, entrepreneurship, media and policy, and spearheaded the #BoardForward Awards Gala as a way to spotlight the ways in which to break down barriers to achieve greater inclusion and diversity in tech. "A unique and thought-provoking speaker, Liza had the theatre in the palm of her hand... Our community is full of passionate social media users, and Liza's drawing created a remarkable buzz around the event worldwide. What can we say? Liza is simply the best." As one of the few women political cartoonists in the world, LIZA DONNELLY tackles women’s issues and feminism through a unique, shrewd, and humorous lens, using cartoons to comment on what it means to be a woman today. Donnelly is famous for her unique "live drawings" on her iPad, which bring high-profile events from presidential inaugurations to the Oscars, to life, and uses the same technique in her presentations-- drawing digitally onstage, in real time and transmitting it to the screen. Donnelly shares how her work hopes to inspire change, and how cartoons might help us move forward toward a more equitable and understanding future.